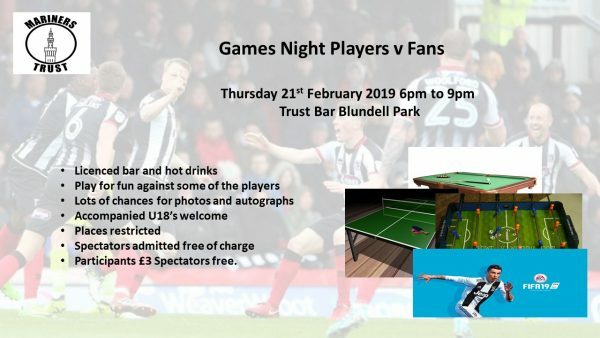 Chance to test your skills at games such as Pool, Table Tennis, Fifa and Table Football against some of the Grimsby Town players. Open to all ages and skill levels, although we ask that under 18’s are accompanied by an adult. 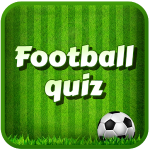 Participants can have a go at all the games and the evening is just for fun so no trophies, just the bragging rights of beating one of the players if you manage to do so. Places are restricted and so we ask that anyone wishing to participate buy a ticket as early as possible to avoid disappointment. 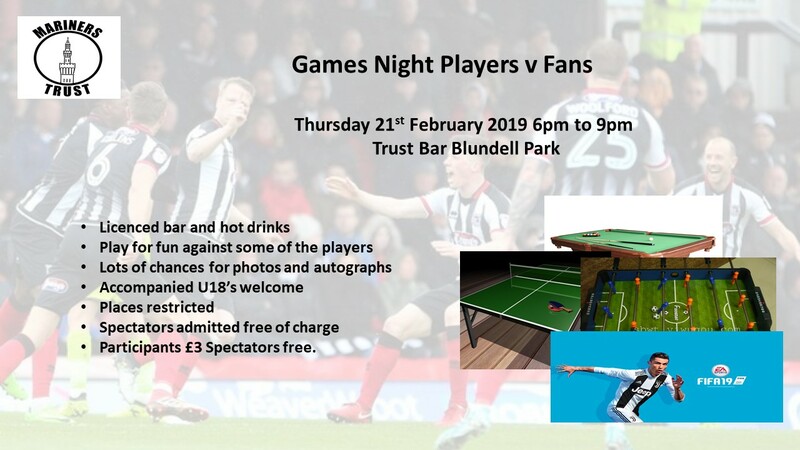 The tickets are £3 for participants and can be purchased on line or from the tickets office during normal opening hours and from the trust bars on match days. There will be plenty of opportunities on the night for autographs and photographs with the players.